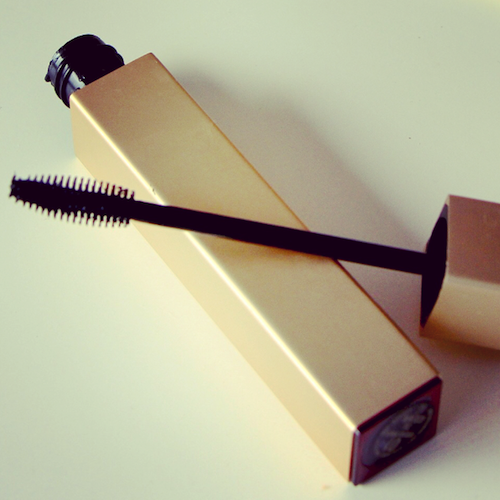 The mascara wand itself has a really unusual paddle-like end that at first glance looks slightly odd; but it coats the lashes perfectly and with no unnecessary mess to the eyelid and no clumping. The formula is long-wearing – it doesn’t budge on me until I remove it with some kind of cleansing balm and hot washcloth combo. In terms of practicality, I like that the tube is square so that it doesn’t roll off the dressing table every five seconds (happens) and I like the chic, understated styling of the packaging. Really, top marks. It’s not quite as favourite-favourite as the Guerlain Maxi-Lash, but it’s en route and it’s not at all badly priced. Next Post “Get The Gloss” on Ruth Crilly!